Vacations have always been hugely important in our family. Over many years I scrimped and saved in almost every other category of our budget just so that we would be able to vacation with our kids each year. We first rented a vacation home back in 2005 when we ‘only’ had 10 people in our family. Back then the kids were young, none were married, and there was no problem tucking 3 or even 4 kids into a bedroom. Over the years as our family grew, and more of our kids were married, our housing wishes became more complicated. Before each trip I would spend hours poring over vacation-home listings online, hunting for just the right mix of bedrooms, space, location, bathrooms, and, of course affordability. Year after year we would try out different homes, always hoping to find ‘the one’ that was perfect for us. Many worked decently well, but we never got that ‘just right’ feeling. The first beach house had two bathrooms, and one was attached to the master suite with no door, meaning there was exactly one truly private bathroom in the whole house. Other homes had similar bathroom issues. And believe me, it is just not all that easy to share one bathroom among 10 people. Another home had most of its bedrooms opening directly onto the main living room–which meant once the babies were up, running and chattering in the morning, so was everyone else. 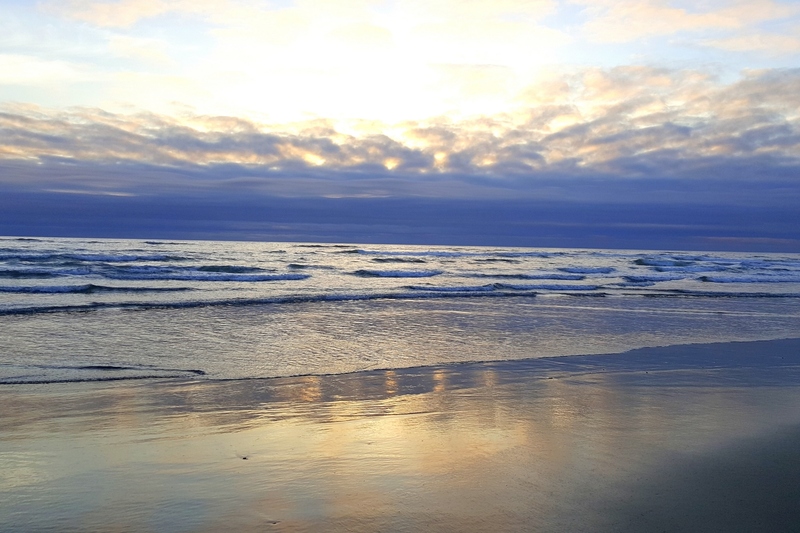 Yet another was a good three miles from the beach, with a hiking trail that crossed highway 101– not ideal beach access. A different home was wonderful in most ways but had no master suite at all, plus parking that was like playing tetris to fit all the vehicles into the driveway. Yet another was gorgeous and beachfront– but cost nearly as much as a mortgage payment to rent it for just one night. EEK! All that looking gave us lots of ideas about what made a great beach house. Here are the essentials in our list, as well as a few nice-to-have luxuries. An ocean view, even if just a peek. It’s wonderful to be able to see the ocean from the home. More than one master suite–this is especially nice if more than one couple is sharing the cost of the vacation. Outside eating and play space, so that there’s a place to overflow when the weather is nice. A fenced yard, to keep kids safely contained so that parents can relax. Two washers and dryers, and maybe even two dishwashers to simplify the inevitable laundry and dishes. What else do you have on your must-have list when looking for a rental house for your family? We’d love to hear your ideas. 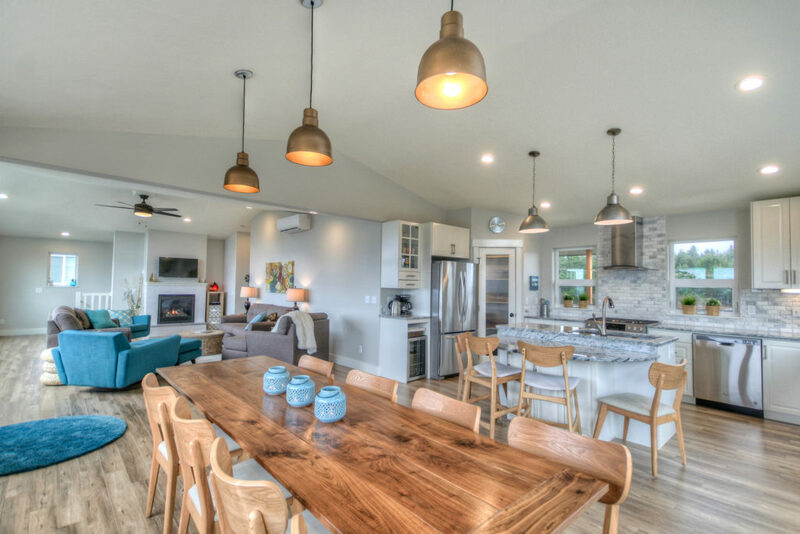 And if you’re looking for a house on the Oregon coast that checks all these boxes for groups of up to 16, look no further than the Owlhaven. Click here for more photos, then go here to see our booking calendar. Weekends and some weeks are still available for this fall and winter, but next summer is booking up fast. 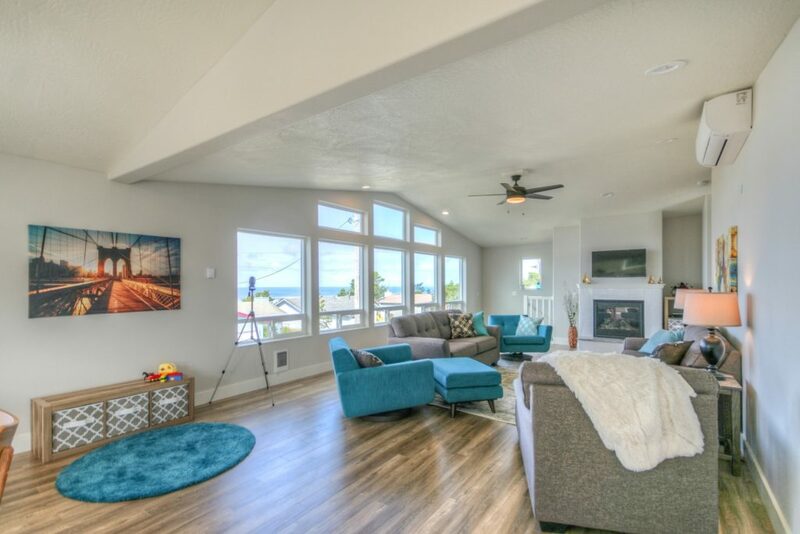 Chat with your people, pick a date, and come enjoy the beautiful Oregon coast in a beach house custom designed for large families!! And remember, your 7th night is free all year long! (1) the living spaces need comfortable, adequate seating. I’ve seen plenty of rental home pictures with furniture that looks like it came from the 60’s or was made out of plastic (lawn chair types). A bigger rental also needs to be able to seat 4 or more in a living space at a time. It is difficult to enjoy being together if the furniture is worn out-dirty, uncomfortable or several people have to sit on the floor to interact. (2) must have wifi to keep the teenagers happy =) & to allow my hubby to connect to work as needed. Totally agree with both those points! One place we stayed had a board under the couch cushions (trying to prop up a broken couch) and it was so unwelcoming! Our living room at the Owlhaven has two full size sofas plus three big lounge-style chairs, so it is really comfy. And we got a high-end router to be sure that the wifi will still be fast, even when using multiple devices.